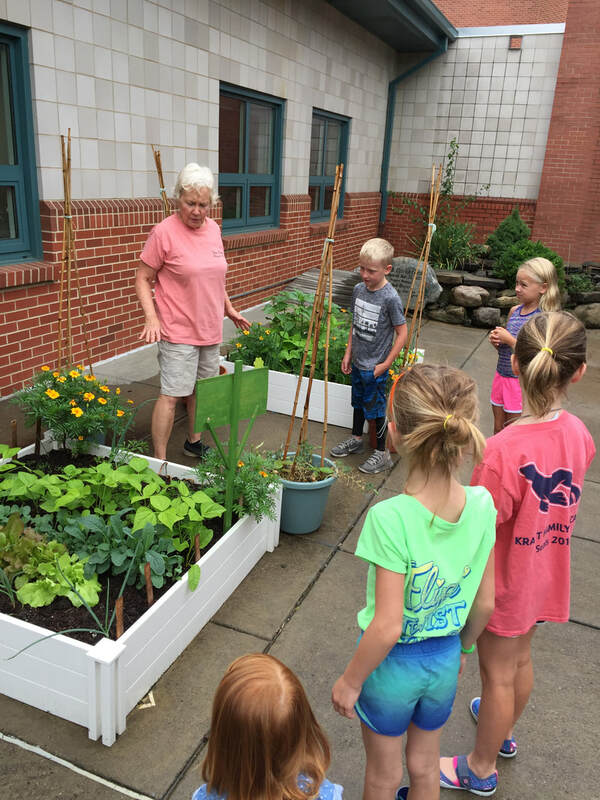 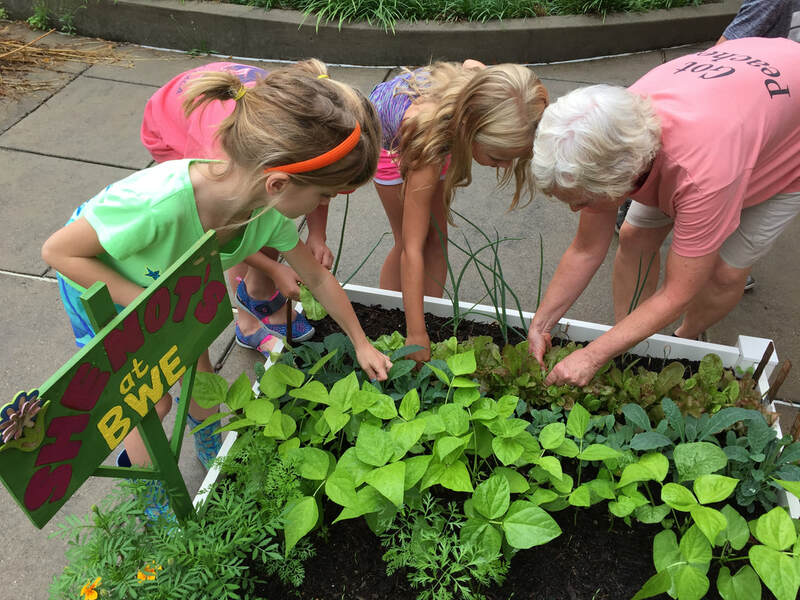 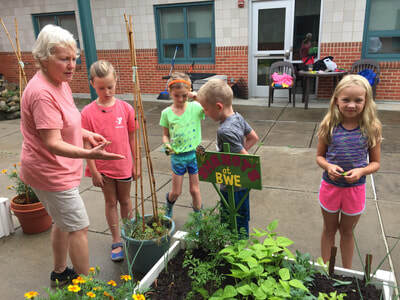 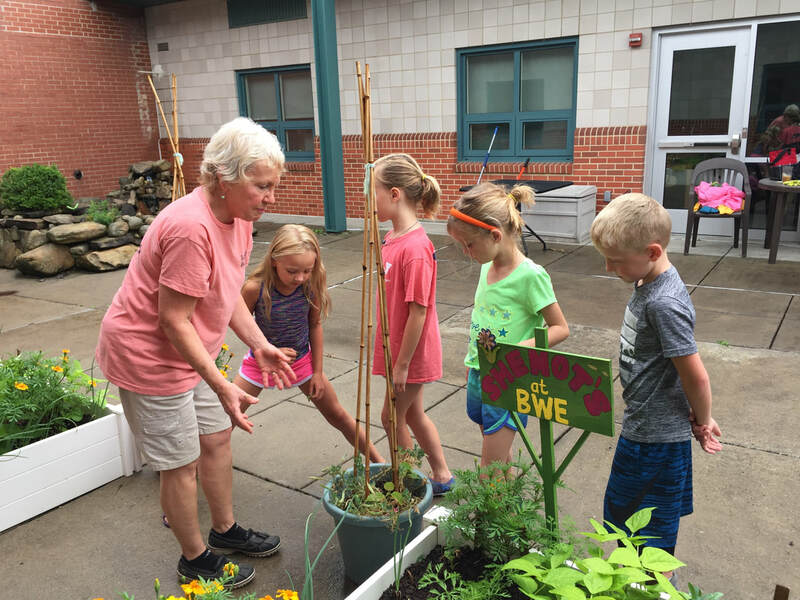 Miss Vicki met some of the students at BWE this summer to tend to their garden. 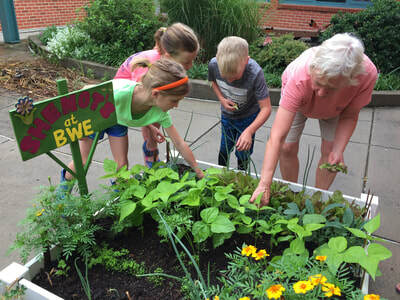 The kids enjoyed harvesting their vegetables and seeing how much their garden has grown. 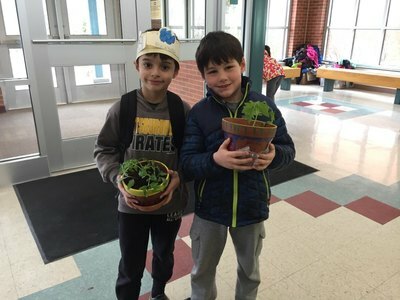 They even planted some fall peas! 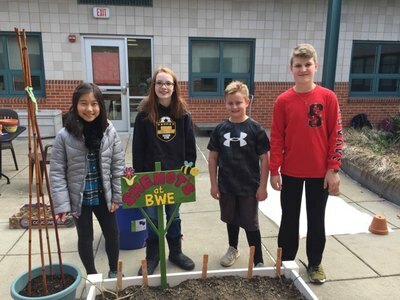 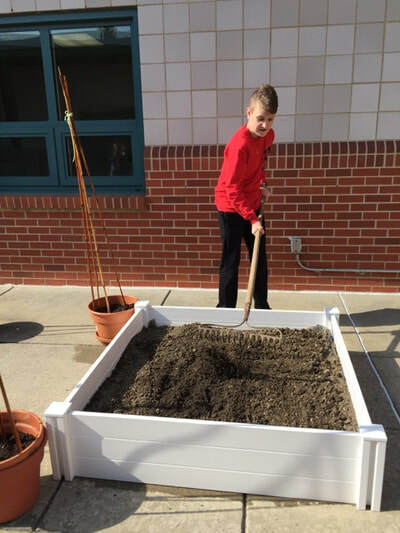 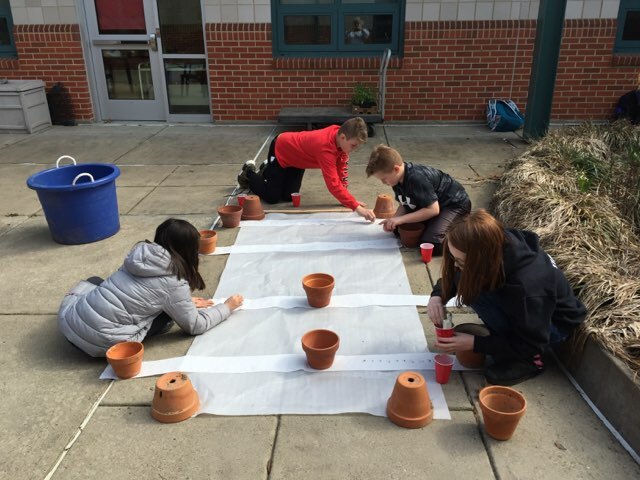 The school's parent group bought two raised beds for the courtyard and the children, with a little help from Miss Vicki, are planting early "crops" that can take the cold, like onions, kale, spinach, carrots, lettuce, Swiss chard and spinach. 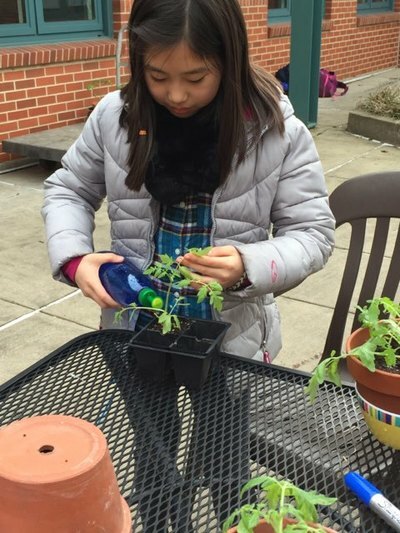 Because of the snowy weather, some of the classes have been inside, planting tomato seeds, marigolds and seed potatoes in Shenot shopping bags filled with soil. The children are learning about the importance of sunshine, careful watering, nutritional needs of plants and how some insects, like bees, can be beneficial. These gardeners are very enthusiastic! 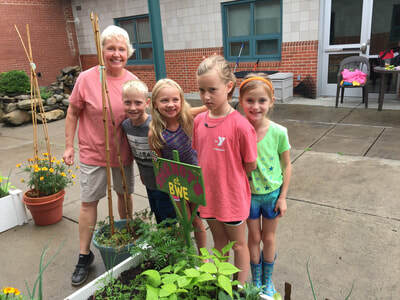 Miss Vicki worked with Girl Scout Troop 52546 and their troop leaders, Laura Corll and Maria Venegas. 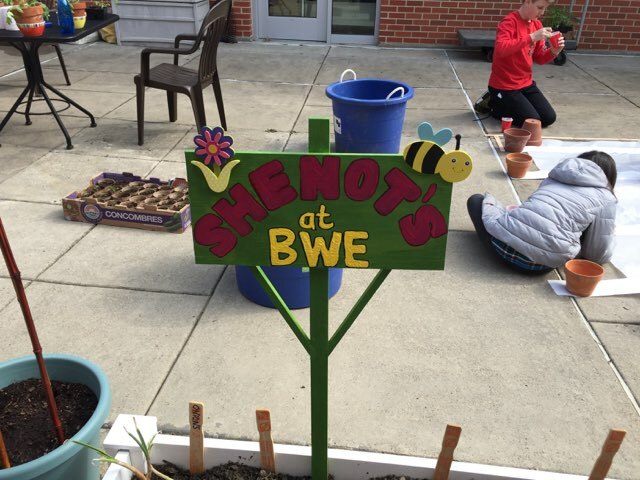 She helped them to plant flowers in the same BWE courtyard as the vegetable beds shown above. 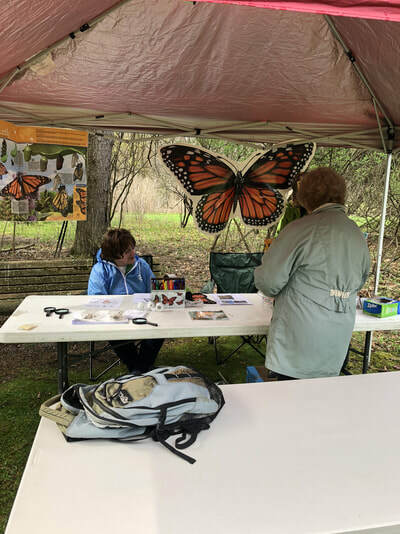 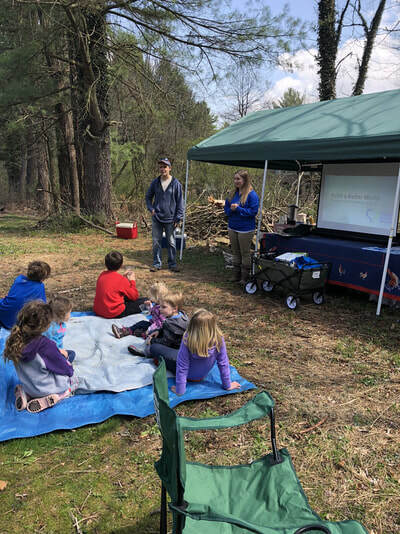 We spent the day at the Bradford Woods Reserve along with other local educators and residents educating and celebrating Earth Day. 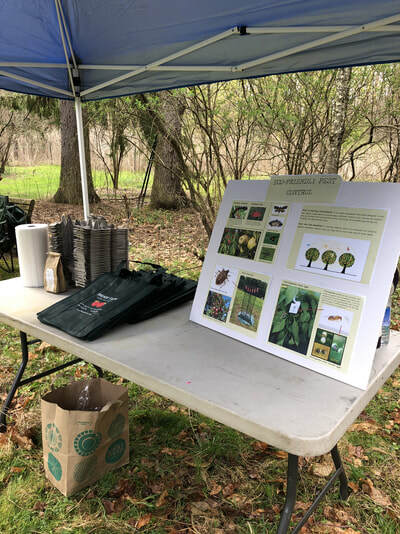 Children and adults alike planted pumpkin seeds and learned about our eco-friendly pest control. 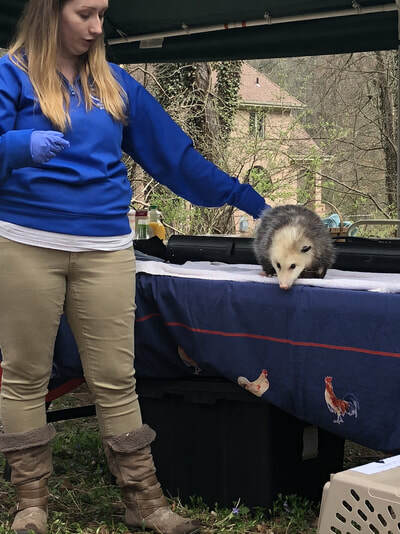 We also learned all about Monarch Butterflies, dragonflies, bees, fossils, a homemade deer repellent recipe and a rescued Opossum named Peaches from the Humane Animal Rescue. 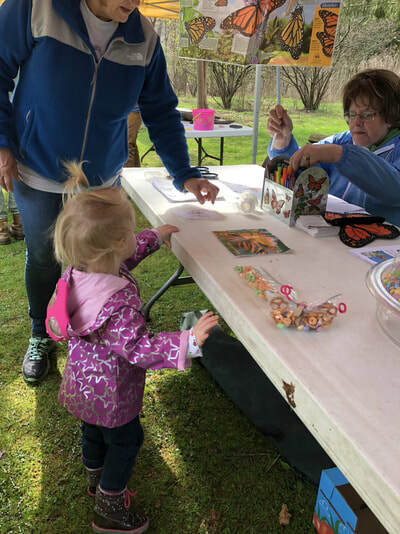 If you didn't make it this year, look for us next year. And in the meantime, stop by the farm anytime to see how we celebrate Earth Day everyday of the year!